Southampton have confirmed they have parted company with manager Mark Hughes on Monday, bringing to an end a miserable spell in charge at St. Mary's. Saints are 18th in the Premier League after 14 games, winning one game - the worst winning record out of all 20 teams in the division - and the club have decided to act following the weekend's draw with ​Manchester United. 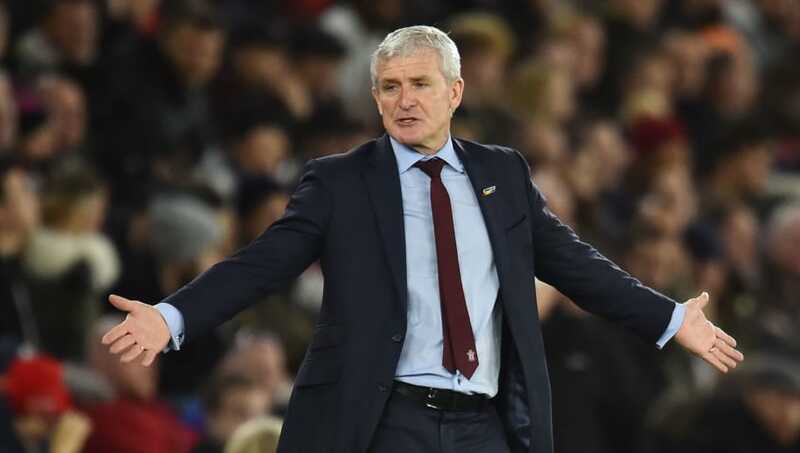 Hughes was only drafted in at Southampton in March, and while he successfully managed to keep them in the Premier League last season, the current campaign has been uninsipring at best. Former player Kelvin Davis will take charge temporarily while the club look for a new manager. In a statement, the club confirmed: "​Southampton Football Club can today confirm it has parted company with First Team Manager Mark Hughes. "We would like to express our thanks to Mark and his staff for all of their efforts during their time at St Mary’s. "First Team Assistant Coach Kelvin Davis will lead the team for Wednesday’s Premier League game against Tottenham Hotspur at Wembley."